Update: Optus has a crazy-good offer on the Galaxy S9 right now, easily the best we've seen so far, so scroll down for more info. Building on the success of the Samsung Galaxy S8, the South Korean tech giant hopes its latest flagship, the aptly titled Galaxy S9, will take over top spot in the Android smartphone world once more. On this page, we've sifted through everything the Australian providers have to offer and brought you the best plans and pricing on both the 64GB and 256GB versions of the Samsung Galaxy S9. Naturally, if you want the handset without the strings attached, you can purchase the Galaxy S9 from Samsung directly. 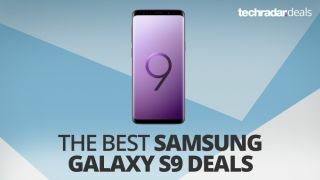 If you're after the slightly larger brethren of the S9, you should check out our page for the best Samsung Galaxy S9 Plus plans and pricing. It's worth noting that carriers are no longer stocking the larger 256GB Galaxy S9, but the 64GB model of the handset has some truly excellent savings to be had.